You know what activity pairs perfectly with riding a bike? Yoga. Along with helping to keep your back and legs strong in the saddle, yoga is an excellent way to renew your spirit, meet new friends, and throughout January, help support Asheville on Bikes! We’re honored and excited that Asheville Yoga Center has chosen Asheville on Bikes as its charity of the month for January 2018. In addition to gathering donations at their studio and boutique, they are holding a special fundraiser on January 25th to help AoB cycle strong into the New Year, and you can help simply by going to yoga on that day—Asheville Yoga Center is donating 10% of all drop-in and community class fees received on Thursday, January 25th, 2018 to Asheville on Bikes. 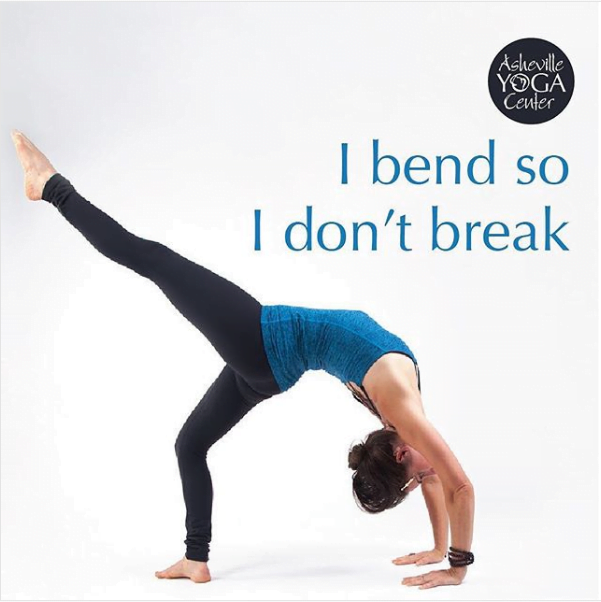 Whether you’ve been practicing yoga for years or you’re a complete newbie, Asheville Yoga Center (AYC) has something for everyone, with some of Asheville’s most knowledgeable, friendly instructors. If you’ve never been there before, your mind, body and soul are in for a treat. Click here to view their class schedule and pick out a class or two to try—you’ll be glad you did. 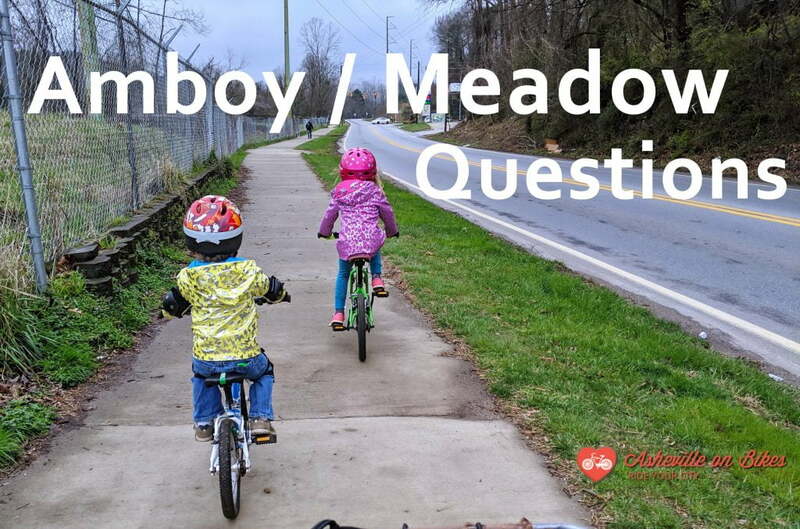 We hope you’ll go ahead and attend a yoga class on January 25th—it’ll help us in our work to make Asheville a safer, easier place to get around on two wheels. Can’t make it that day? You can donate to AoB at AYC all month long; just look for our donation box at the front desk. You can also make a donation to Asheville on Bikes as well as join or renew your membership here on our website. Namaste!